This is the version for worldwide game user. 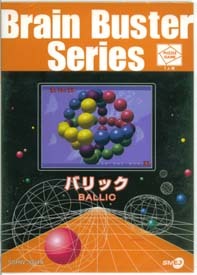 There are eight titles released for BB series as "Hexcite","Monopas","Locren","Chain","Push Monster","Kurulin Poker","Sai-Jong" and "Ballic". 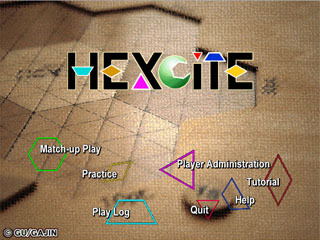 It's Version 1.5 of Hexcite for Windows! We've also expanded the possible play mode options even beyond what they were before. 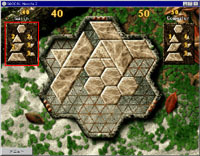 You can play one-on-one against the computer, or anywhere from two to four human players by network play. It's NEW STYLE of action puzzle game. 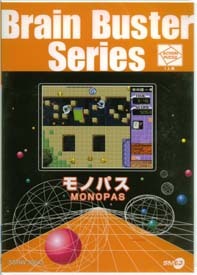 Monoopa is an action puzzle game to roll playing pieces shaped like rectangular parallelepipeds toward a goal. 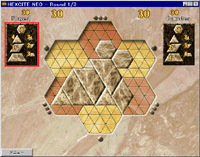 Players place playing pieces wherever they like on the hexagonal grid gameboard. Points are scored for laying three or more pieces in a row, depending on how they are laid out. It's NEW STYLE board-game. Simple rules but extremely Challenging! 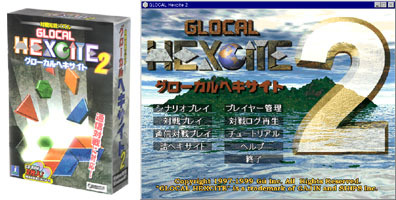 It's Version 2 of Hexcite for Windows! Now you can have two human players play against one another with this two-CD-ROM set. You can play one-on-one against the computer, or anywhere from two to four human players. We've also added network play. with beautiful graphics and sounds. What is the secret of the lithographs? which you win if you score within the designated range. The improved computer AI routines will give you a run for your money! You can now select from up to ten levels of difficulty, and have the computer check up to ten moves ahead. 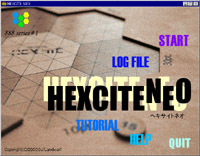 It's Version 1 of Hexcite for Windows! Play either one-on-one against the computer, or against another human opponent. Three difficulty levels: Beginner, Intermediate and Advanced. Computer can check up to four moves ahead.